Walking through the local book fair, last weekend, I couldn't shake off the eerie feeling that in a few decades time this might be considered an antique market. EBooks (electronic books) are catching on in a lot of environments and are proving to be remarkably accessible and convenient. 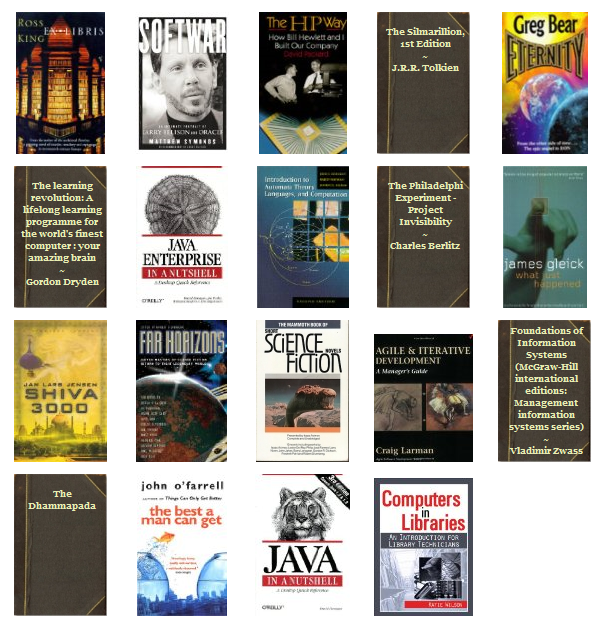 Already my eBook collection surpasses the physical one without affecting the number of boxes I store in the garage. I also felt the quantity of people visiting the fair to be less than in previous years, perhaps that's why the organisers raised the prices of the items. I can't really imagine inflation to be a factor when dealing with old books. My usual brief is to head straight for the Computers/Technical books section and pick up relevant copies of editions that are not obsoletely old, then head over to the science fiction area and see if anything catches my eye. After that it's a general stroll through the other sections. In the fiction section I used to pick up a lot of Tom Clancy and Robert Ludlam's quick read books, but finally time has caught up with them. The stories are based in, and dealing with, the Cold War - the plot tries to reach the reader by making him worry about the US-Russian nuclear standoff and the great spy games being played across the geopolitical chessboard. I used to really enjoy these tales, but the end of the Cold War was has cooled my enthusiasm. There were boxes and boxes of such paperback novels, lying untouched, unbrowsed. Time has passed these tales by and they, along with their authors, may be forgotten. Some, like the Robert Ludlam's Jason Bourne series have been adapted into movies with story-lines mutated into a more modern context, having little reference to the Cold War or the original story. A generation ago, the same thing had happened to World War II tales, with comics like 'Commando', and during/post-war Nazi conspiracy fiction. The quick rate of environmental change is reducing the shelf-life of cultural expressions even further. Is there anything that would make a book truly timeless? Shown below is my part of the haul this time. We took a half-empty box of only select books to the pricing counter, where they pointed out that a whole box is equal to a half box in price. We promptly went back for another round and managed to stuff a large box with extra books that were previously secondary considerations. This time, the heavy box shook the pricing counter. Some employees are even screening prospective employees by “googling” them or looking into their Facebook or other social networking sites. Often these can provide an insight into an employee that they may be reluctant to reveal at an interview. Here's a law firm confirming it - your online profile matters more than you think, and with sites such as Facebook disrespecting their users' privacy and opening up their details to the public web, it pays to be mindful of what you put up online. 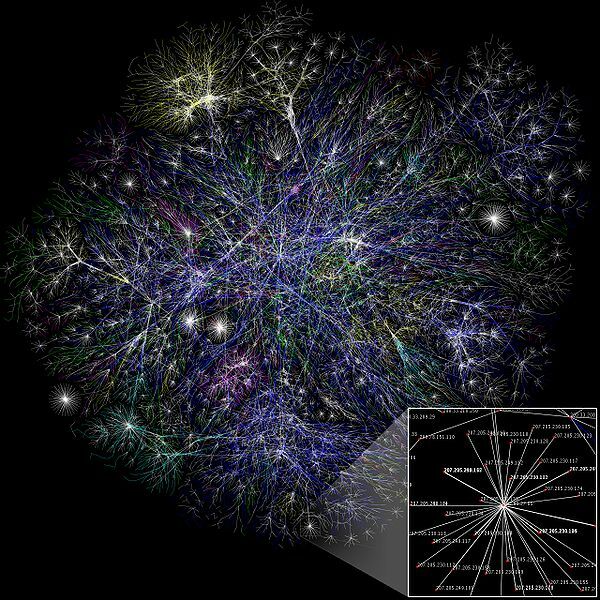 The web is a reflection of the real world, and not an escape from it. Facebook beats Google in U.S. Unimaginable that any website would be a more visited online destination than the ubiquitous Google. However, in U.S. where the online revolution began, it seems that the social website Facebook, which also contains its own application platform, now attracts more internet traffic than Google. The rise of Facebook according to the graph, has been spectacular. I've noticed that friends which until recently I found only on other platforms such as Orkut (popular in India) and Yahoo are now to be found in Facebook. Facebook was launched just in 2004, for just Harvard students, then expanded outwards in later-2006 to anyone holding a valid email address. 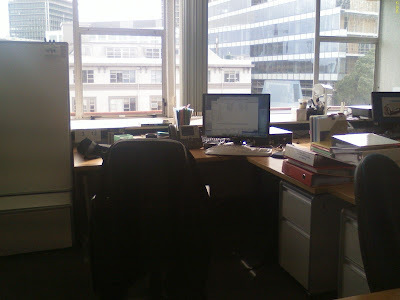 At that time myspace.com was the leader site in online personal web pages, and the two became rivals. Myspace allowed its users to design their pages in any way they liked, while Facebook kept control on the look and feel. This ended up making myspace a very wild and noisy online space filled with the participants' creativity, but confusing for the casual user. Facebook reduced your design choices, but that made it simpler and recognisable. Myspace has reduced in profile, but still popular among musicians and artists. Now, Facebook has moved far beyond myspace and seems to be competing with status-update micro-blogging site Twitter. In 2007, Facebook launched a platform, f8 for creating applications that ran on its website. There was also an associated Facebook Markup Language. This allowed developers to create their own games and experiences that user could share with each other on the website. The experience moved beyond simple communication between community members to participating in shared activity. This can be very addictive especially where elements of competition and public achievement are introduced into the application, such as in multi-player games. This is especially helping to keep people locked into the Facebook website. While Facebook has no hope of beating Google as a way of searching on the web, the shift in traffic share, does mark a change in the way people are now using the Internet - to participate in communication and shared experiences rather than a convenient source of information. A term that has always been more a slang than even a formal Hindi word, has suddenly acquired respectibility in the Management world. India's economic profile rising, and it is only proper that practices that seem to work in this nation are formally propounded, expounded and then propagated as the new gospel. 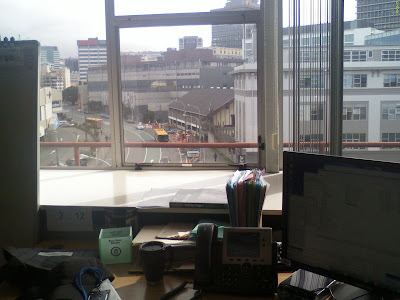 Witness Japan's 'Kaizen' business process philosophy export. I remember jugaad was a quick word that school and college friends would exchange to refer to a 'thing-a-ma-jig' quickly put together to do what we wanted to do. ... the gutsy art of Jugaad. The Hindi term roughly translates as "overcoming harsh constraints by improvising an effective solution using limited resources". We call it the art of creative improvisation — within a framework of deep knowledge and experience. Thrift not waste. This first rule — which promotes frugality — helps tackle scarcity of all forms of resources. Inclusion, not exclusion. This second rule helps entrepreneurial organizations to put inclusiveness into practice — by tightly connecting with, and harnessing, the growing diversity that permeates their communities of customers, employees, and partners. 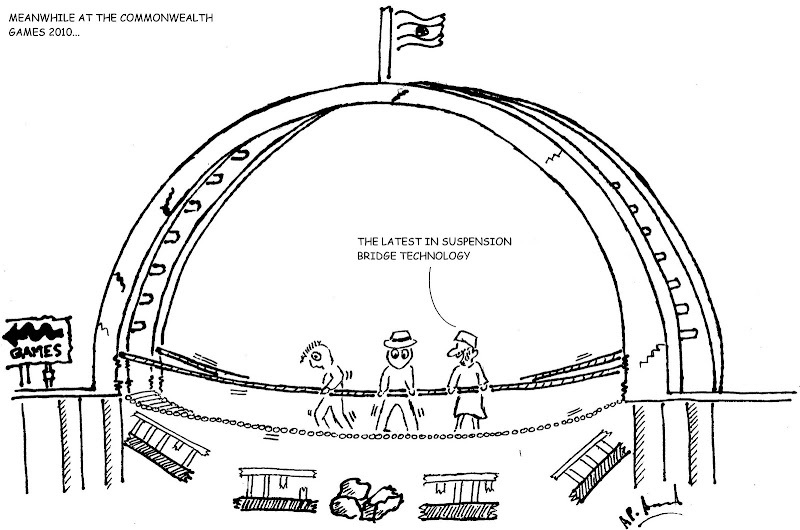 Bottom-up participation, not top-down command and control. This third rule drives collaboration. CEOs who tend to act as conductors must learn to facilitate collaborative improvisation just as players in jazz bands do. Flexible thinking and action, not linear planning. This fourth rule facilitates flexibility in thinking and action. Jugaad-practicing firms are highly adaptable as they aren't wedded to any single business model and pursue multiple options at any time. Management has always sought to capture the Innovation genie in its bottle of standard methodologies. In a field which focuses more on the way you work, rather than what you are working on, the accepted concepts are as liable to change, as clothes in a fashion show. However, there's just something about Jugaad that makes it incongruous to a formal management definition. Why is it that India is unable to be the source of major industrial innovations on a sustained basis even though it has highly skilled talent and a penchant for jugaad (creative improvisation)? 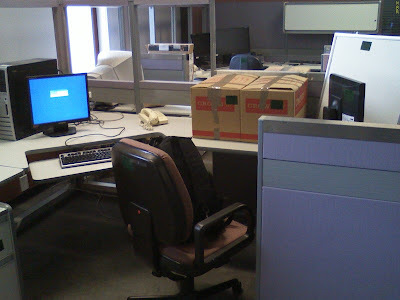 Jugaad is a survival tactic, whereas a hack is an intellectual art form; i.e. Jugaad is the wile of the poor, and hack the pastime of the affluent cerebral. Jugaad is a hack to get around or deal with a lack of or limited resources, and has a class component to it - jugaad are things poor but clever people do to make the most of the resources they have. They do what they need to do, without regard to what is supposed to be possible. The 'Jugaad' (or Maruta) in Punjab region is also used to refer to a 'poor'-man's assembled vehicle, made by putting together a cheap low-powered water pump with a custom body. Now one wouldn't call this a great engineering success, but it is heroic in the attempt by rural-poor to cobble together a ride. More examples of Jugaad can be found at Espirit de Jugaad, Hindustan Times. 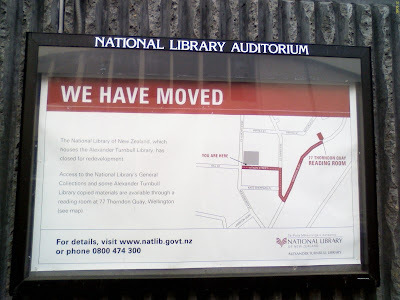 The National Library of New Zealand is undergoing a redevelopment. 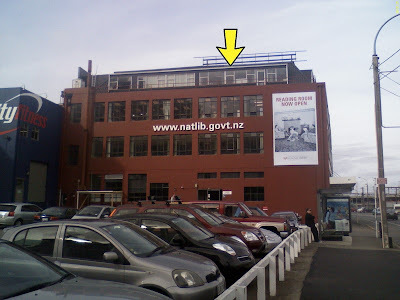 So we're being packed off to various locations around Wellington. Good thing (bonus?) is that I finally get a PC upgrade out of this. with a view to match. Will finally be able to take breaks to focus eyes on something distant - a big hazard for IT guys. UBS’s SFr2.7 billion ($2.5 billion) loss for the year activated its malus (Latin for “bad”) system of accordingly reducing an executive’s bonus (“good”). Separately, the $9m in deferred stock awarded to Lloyd Blankfein at Goldman Sachs was taken as a sign of pay restraint on Wall Street. Jamie Dimon, of JPMorgan Chase, received $17m. No wonder, you'll feel 'good' if you get a bonus. Hurtling along at great speed into a globally technology-connected future, conditions are set for localised cultures, that depended on their isolation, to evolve out of existence. Now BBC passes on the message from Professor Anvita Abbi of Jawaharlal Nehru University, that Bo, one of humanity's oldest languages has vanished into history, with the demise of it's last speaker. This language used to exist in the Andaman and Nicobar Islands of India which, as the map below (from andamanese.net) shows, has undergone drastic demographic change. I remember a documentary my family saw in the 1980s on these islands. The documentary-maker-explorers described the tribals as easily provoked and very dangerous. Standing on the ships off the shore they would wave food parcels and gifts to the nervous bewildered tribals, who kept their poison-tipped arrows poised. Not very different from the meeting of cultures portrayal in the latest Avatar movie. Times will change and cultures will transform, but in an age where audio and video recording of every expression is possible, the heritage can be preserved to some extent. Prof. Abbi has done a lot of work in this direction recording the exact phonetics as well. Boa Sr was the oldest of the Great Andamanese, who now number just 52. 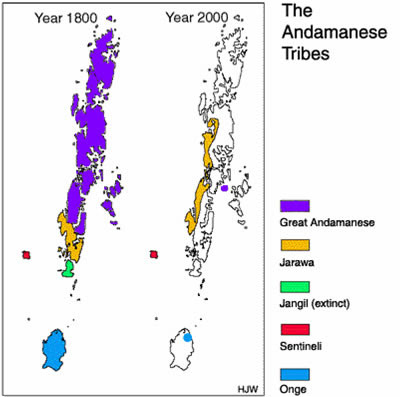 Originally ten distinct tribes, the Great Andamanese were 5,000 strong when the British colonized the Andaman Islands in 1858. Most were killed or died of diseases brought by the colonizers. And, sadly this will not be last language to disappear in the region. It is generally believed that all Andamanese languages might be the last representative of those languages whose history goes back to pre-Neolithic times in Southeast Asia and possibly the first settlement of the region by modern humans. These isolated Andamanese languages that are spoken by the descendents of the aboriginal population of Southeast Asia are, at present, ‘very critical’ stage. Moribund languages are characterized by lack of will to learn and teach the heritage language. The language does not get transferred from the older to the younger generation. Another important feature of the moribund languages is loss of registers and reduced domains of use. In the restricted domains that the language is used show traces of earlier varieties in lexical items and grammatical structures once spoken. The loss of various registers also results in the lack of total mutual intelligibility even among the speakers who have retained the language. A half a billion users will have their own fixed broadband subscriptions this year. "Overall the number of net new fixed-broadband subscriptions grew in 2009 to over 480 million, largely as a result of accelerating growth in emerging markets and we expect this number to reach 500 million this year. China, Russia, Mexico, India and Vietnam were among the countries that recorded the greatest leaps in fixed-broadband subscription numbers last year,"
- comments Rob Gallagher, Principal Analyst at Informa Telecoms & Media and Lead Author of the Next 100 Million report. Note that this does not include all the mobile net subscriptions that are poliferating or just dial-up accounts, so actual number of net users would be even greater. Names can be as malleable as clay, especially if their original solid form is more than 2-syllables. While western English names have a ready-made shortened form - Robert becomes Bob, William becomes Bill etc. - Indian names, outside of families, are usually spoken in full. Still, Generation X onwards, many young Indians have also adopted this practice, such as Siddhartha becomes Sid. In India my name did not survive in the two locations where I stayed. 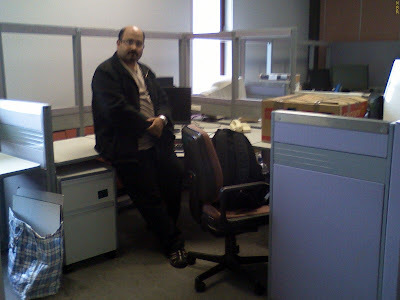 Among my friends I was known as Eddy in Chandigarh, and Andy in Bangalore, and many tangential variations. 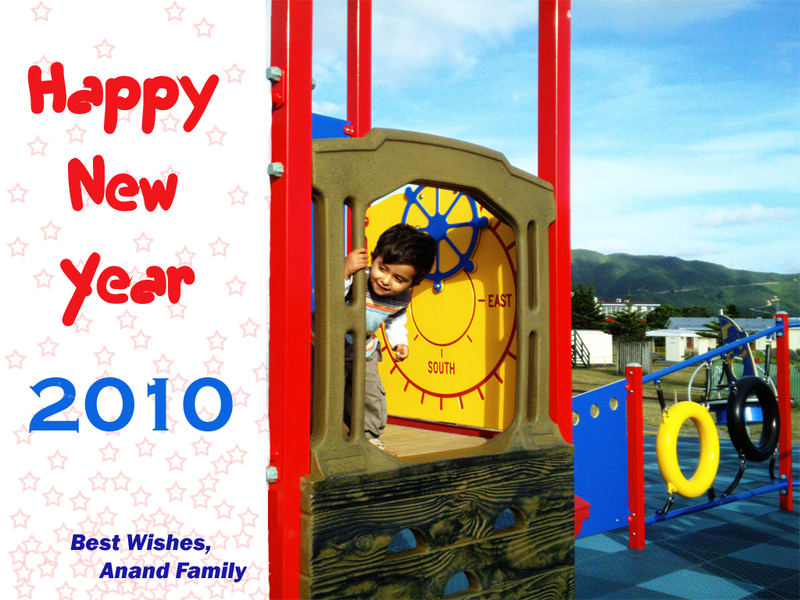 I kept my name intact in New Zealand, hoping for a new start, till my recruitment consultant advised to pick a shorter version - so Aditya became Adi became Eddie. Predominance of English usually decides the direction of the name conversion. What happens it was in the opposite direction, see in the great video below brought to my notice by Prasanna, or as we call him - Praz. 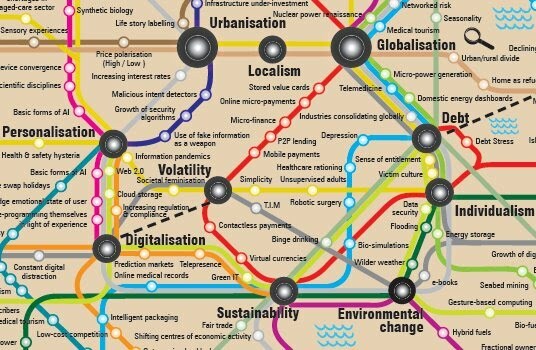 An Australia/UK based futurist, Richard Watson of Nowandnext.com has, with some collaboration, drawn up a very complex timeline of trends for 2010 and going into the next 40 years. Though a I enjoy visualization of concepts, this map is not that easy to discern at first glance. It takes a bit of time to spot the pattern, and further to absorb the content. The original full diagram is available here. Like a Metro/Subway/Underground map, there are lines that trace a certain category or subject such as Healthcare & Medicine or Geopolitics through a minefield of trends, marked as dots/circles. The more important the trend the larger the circle, and is more likely to contain more intersecting lines. Starting from the centre region which corresponds to the 2010-15 period, there are outwardly radiating regions of time up to 2035-50. Perhaps it should be called a time-map. Many of the trends such as speech-recognition, cloud-storage, and declining fertility are already here in some form, while others further out in the timeline still belong in the domain of science-fiction - DNA repair, invisibility cloaks, Animals suing humans. Watson invites any comments or suggestions on his blog page here. I went to the cinema to expecting to see a different Sherlock Holmes, a character repackaged to cater to a new market, in a crude manner that detracts from his original essence. Didn't happen. The new Sherlock Holmes, played by Robert Downey Jr., is a much more dynamic character - younger, more adventurous, bit less of the English gentleman than previously depicted. Nevertheless, the core of the character hasn't been lost - the eccentricity, self-assuredness, intense concentration, and even human weaknesses. Jude Law would not have been my choice for Dr. Watson, but he's pulled it off quite well, next to Downey's Holmes. So, if you are a fan of the classic A.C.Doyle's Sherlock Holmes, you probably won't be disappointed. The marked difference was in the the look of Holmes. The new movie has not shied away from redefining the portrait - gone is the combed back hairstyle, the sharp jawline and chin. Downey doesn't look anything like the classic Holmes, who has been played best by actor Jeremy Brett (see on the right) in the almost complete series by Granada Television. 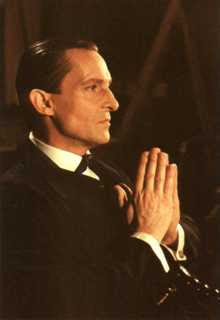 Jeremy Brett was probably the first to capture the full theatrical intensity of the character, watching him was like following the original sketch in the books. 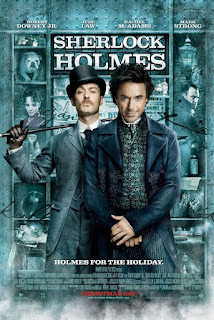 In fact, my friend Prasanna aptly remarked that the villain in the movie is a closer look to the classic Holmes. Not commonly known is the story that the look of Holmes didn't come from the author A.C. Doyle but from his first illustrator. With the stories serialized in The Strand came the first illustrations, and it was Sydney Paget who was to fix the the features of the tall, thin, bony character for generations of enthralled readers. The story is that Sydney was actually commissioned by mistake, instead of his brother Walter, whose work the magazine knew through his illustrations for Rider Haggard and Robert Louis Stevenson. If so, this quirk of fate was balanced by a kind of poetic justice on Sydney's part, for he used his brother's lean features as his model for Holmes. And later after Sydney's death in January 1908, Walter himself illustrated one of the stories, The Adventure of the Dying Detective. 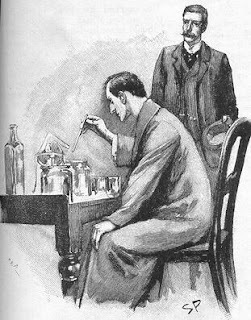 What Holmes would have looked like had Walter got there first we can only guess, for, like all the other artists commissioned to continue Sydney Paget's work, Walter did not stray far from the image of himself Sydney had fleshed upon the bones of Conan Doyle's creation. Holmes has been seen that way ever since. 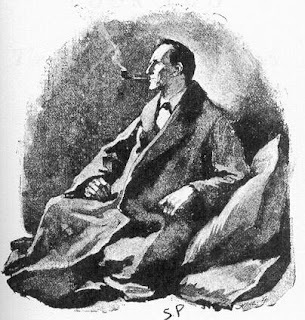 There have been many actors in to play the detective, all bearing resemblance to Sydney Paget's illustration. 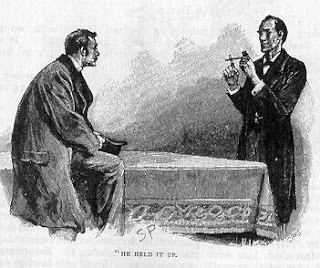 However, more than that, the reason Sherlock Holmes has avid followers around the world and across generations is his personality. In a sense he is very much a 20th century man, before his times, even bit of a rebel. His firm foundation in scientific principles led him to be accessible, yet his public performance of a mind-reader and magician is highly entertaining. He's a magician who, in the end, reveals his tricks of the trade, leading all who read the accounts to think that they can follow the indicated lead. He's a fictional character that has inspired creation of countless other similar fictional characters. It becomes more than just a story. The new movie with all the benefits of modern technology (and big budget) fills in the larger picture as well. The musical score suits the setting. There are panoramic views of the London of the late 19th century, with references to the social, technological and industrial upheavels taking place ..
Arthur Conan Doyle's birth year, 1859, fell 22 years into Queen Victoria's 64-year reign, a time of unparalleled growth and optimism for the British Empire. Resources and labor taken from colonies worldwide had made England prosper, and the time of serious independence struggles lay in the distant future. Business flourished, technology blossomed, and London grew at a great rate - from one million people to six in the space of a century - creating problems of urban overcrowding familiar to us today: poverty, homelessness, drug abuse, crime. While the great divide between rich and poor and the economic and human strain of maintaining the colonies exacerbated social problems that were as yet insoluble, Victorian Britons, led by Victoria's husband Albert, put their faith in technology and science. The contrasts and conundrums of this fascinating time provided Conan Doyle with the raw material and the backdrop for Sherlock Holmes: a man of science, undistracted by the gentler passions, who moved easily through the disquieting urban space, using his wits to solve its moral and practical dilemmas. Come to think of it, there are actually many parallels to the enormous changes taking place in cities of the today's emerging nations. Many of similar patterns and contrasts can be spotted in places such as New Delhi. 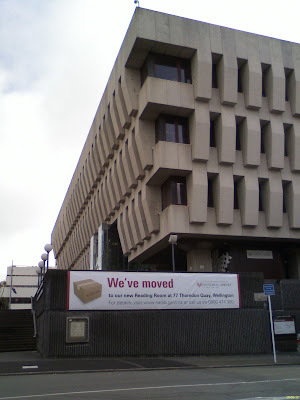 It could be a new setting for a modern fictional detective. A comparison with some of the existing tallest man-made structures (not counting projects in planning or construction) produces the diagram below. If you want to consider New Zealand's tallest structure, the Auckland Sky Tower at 328 meters, you can put it at approximately the size of the Eiffel Tower on the diagram. India's highest buliding is currently the Imperial towers in Mumbai at 60 floors and 249 meters. Having the good fortune to have seen almost all the structures in the diagram(except for the Taipei 101 & CN tower), I look forward to seeing this one. Here's another detailed diagram comparing world edifices reaching above 400 meters benchmark. The current completed buildings are in full representation, while the in-progress constructions are shown as line drawings. It's probably unlikely that the Burj Khalifa will remain the highest building with so many newly emerging nations and conglomerates also eyeing that coveted title. Burj's predecessor the Taipei 101 (509 meters) only held the title for 6 years, not allowing the Shanghai World Financial Centre (492 meters) to even get a chance. Previous to that the Petronas Towers, Kuala Lumpur (452 meters) were the highest for 6 years, and the Willis Towers, Chicago (formerly Sears Towers) was the highest for 24 years. However, it will be difficult to match the longevity of the building that held the title for 3880 years - the Great Pyramid of Khufu (Cheops). Here is an interesting, though very detailed diagram of the tallest buildings of the 'old' world.